Was the original help an existing xml help file or did it come from comment-based help? This will allow us to take a closer look. 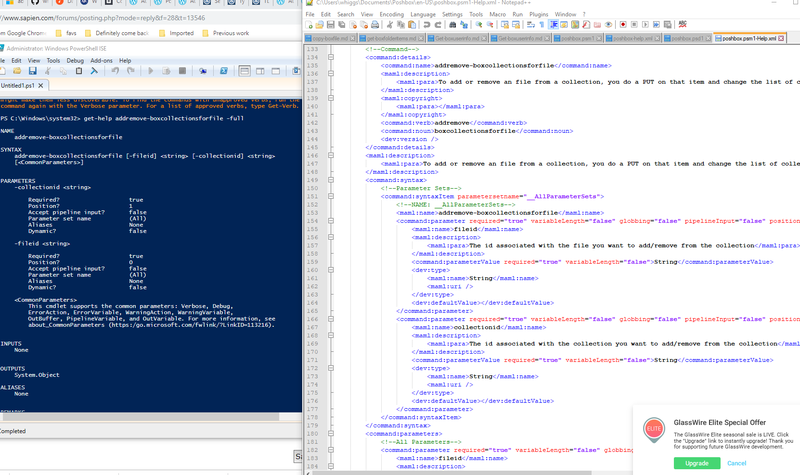 PowerShell will handle the language path depending on the user's settings. This is up to the author. You can add the dashes in the title of the example. Maybe we can include an option here to generate it. This is up to the author as well. You can add extra lines at the end of the description to produce the spacing between examples. This is what Microsoft does for Get-Content’s examples. 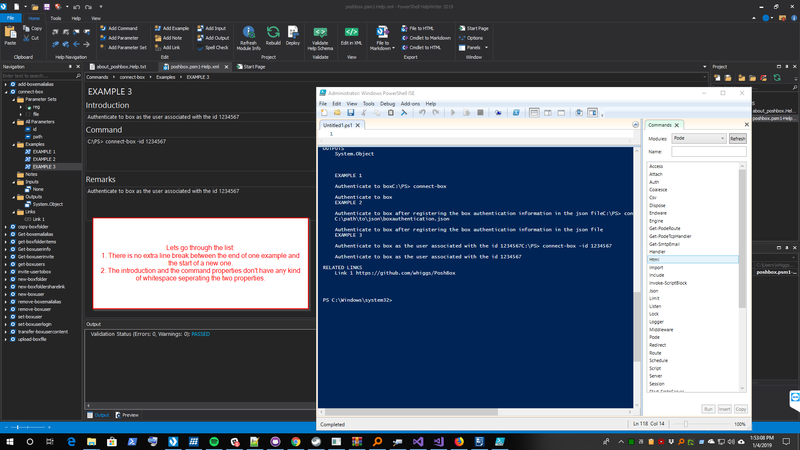 In the first screenshot you show 3 examples for Connect-Box. But looking at the platy generated file, it also has only one example as well. 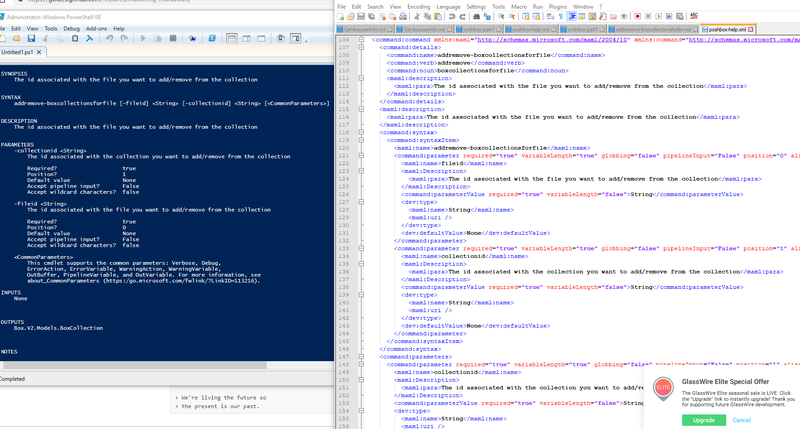 PowerShell returns the syntax when there is no synopsis present. Since this cmdlet has no parameters, it got passed our filter. 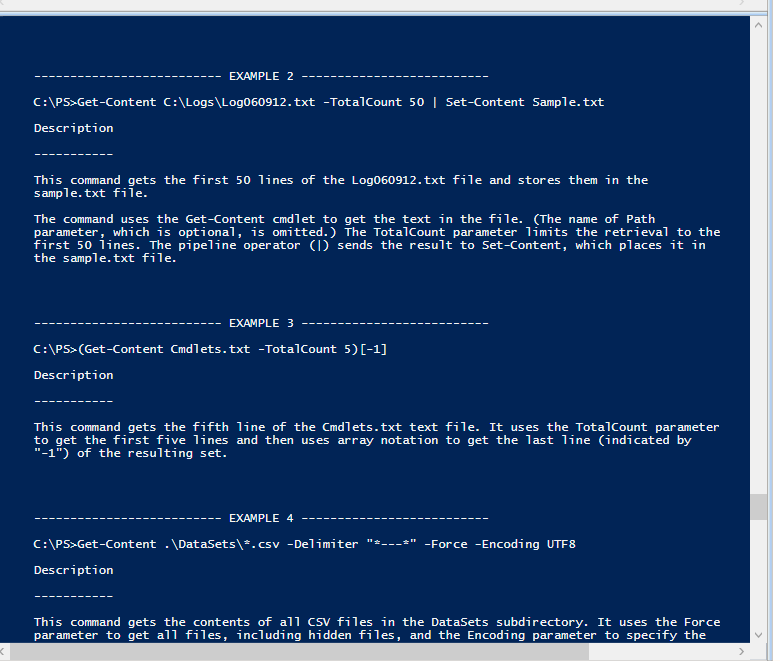 The syntax in the synopsis issue should be resolved in the new PowerShell HelpWriter service release (v2.3.43).